This is a charming, recently renovated apartment situated right by the beach. Its location is perfect, as it is surrounded by many bars, restaurants and supermarkets, and the Port Vell is just a short walk away. There is easy access to the city centre by public transport or you can also reach it within about 20 minutes on foot. The apartment itself is bright and welcoming with an up-to-date décor. It has an American style kitchen complete with a washing machine. There are two bedrooms in the apartment, and the bathroom has a walk-in shower. 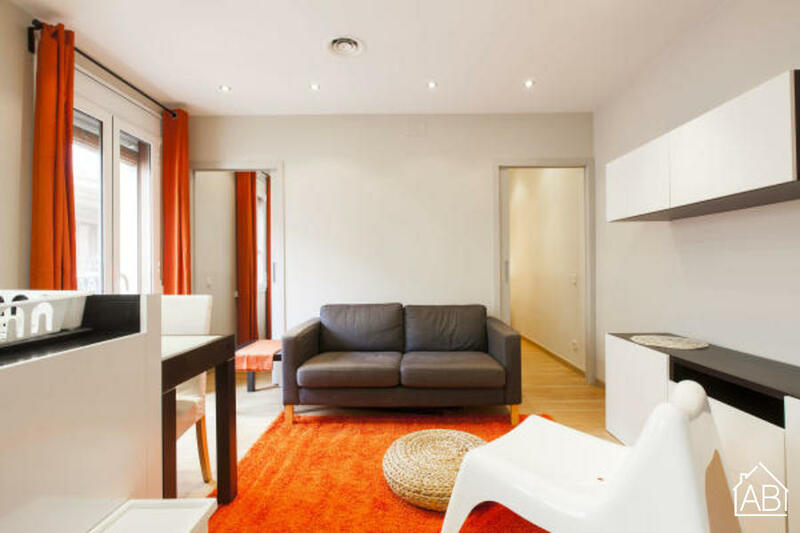 Complete with central heating and air-conditioning, this is an ideal Barcelona home at any time of year!